We report results on ultrasound studies of the frustrated magnet CdCr2O4. This compound demonstrates an antiferromagnetic ordering at T N =7.8 K and a metamagnetic phase transition at 28 T followed by a wide magnetization plateau with one half of the full moment of S=3/2 of Cr3+ ions. 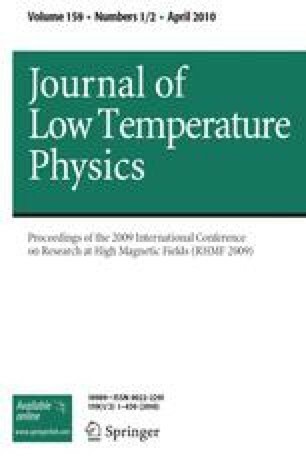 A longitudinal acoustic mode in the  crystallographic direction exhibits pronounced effects both in the temperature and magnetic-field dependencies. Pulsed-field measurements show a drastic change in the sound velocity just below and above the 1/2 magnetization plateau. Our results suggest a large spin-strain coupling and give evidence for a pronounced interplay between spin and lattice degrees of freedom in CdCr2O4.